Our aim is to ensure your stay at The Cove exceeds your expectations. We understand you might have some questions before you book. Here are some of the most frequently asked questions which may be of assistance in planning your next holiday at The Cove. If you have any other questions, please do not hesitate to give us a call! Yes, we do and it’s free! Yes, we have four elevators which provide access from The Cove’s secure basement car park! Do you have storage for surfboards and bikes? Yes, we have secure cages where you can store your surfboards and bicycles. Sorry, pets are not allowed in our apartments. Do you have a gym or tennis courts? Guests at The Cove are welcome to use the gym at the Yamba Surf Club. It’s only a short walk from your apartment. Public tennis courts are located across the road and bookings can be made at The Cove reception. Is there a café nearby? Yes, Pippi’s Café and Bar is located next door. Yes, the landmark Pacific Hotel is only 300 metres from The Cove. Their restaurant opens for lunch and dinner daily and takeaway bottleshop services are available. 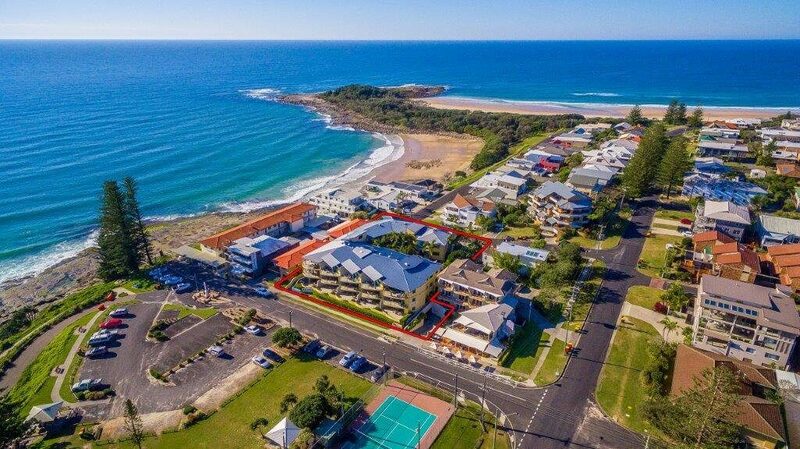 Yamba CBD is only 400 metres walk from The Cove. There are shops and bottleshops stocking everything you need for your holiday. Yamba is known for its great restaurants and seafood. There are so many choices for dining out. 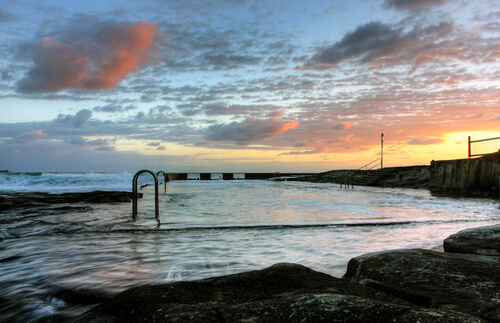 Natural ocean swimming pool at Yamba beach. Yes, Yamba’s main surfing beach is patrolled during summer and it’s just across the road. Can you put a cot in the apartment? Yes, cots are available for hire. Please advise your requirements when making your booking.